A cataract usually develops gradually with age but may progress rapidly in the presence of diabetes or with the use of certain medications such as steroids. It will make the eyesight misty or cloudy and may even cause glare whilst driving. You may find it increasingly difficult to read or watch television. A cataract may develop in both eyes. 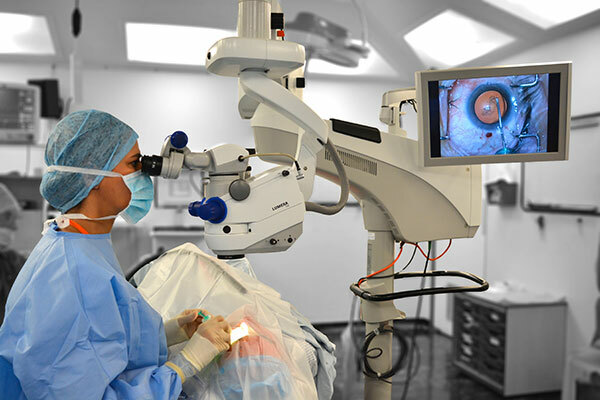 Ms Sandhu performs cataract surgery using a small incision sutureless technique called phacoemulsification. The surgery is painless taking about 10 to 15 minutes and is performed under a local anaesthetic. It is performed as a day case and the second eye can be operated usually within a week or two of the first. The choice of the lens implant will be discussed to suit your needs and will be customised to correct your refractive error. Monofocal lens implants can correct for distance vision allowing the use of reading spectacles. Premium lens implants such as multifocal lens are used to correct both distance and near vision enabling freedom from spectacles. Toric lenses are used to correct astigmatism and can be combined with multifocal lenses. Why go private? A personalised service with the choice of premium lens implants tailor made to suit your needs is only available privately.